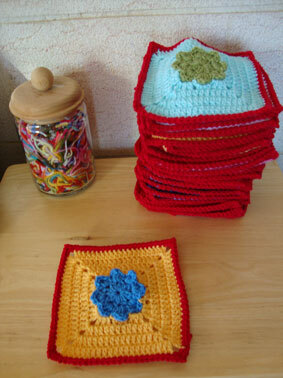 Back on the wheels: Sucrette’s square: two finished projects!! 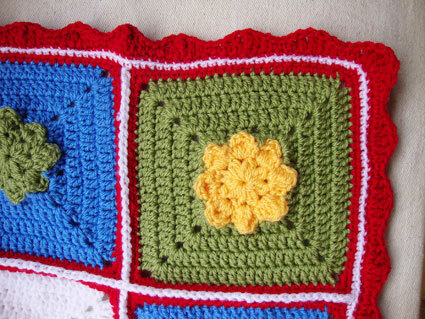 During the holidays, I worked on something I want to share with you today…In fact, the two new wips I talked about in this previous post were somehow linked in one new square I created during Christmas time. and with these granny flowers I transformed a white lampshade…The same kind of lampshade I transformed back in 2010…Do you remember it? mmmh 🙂 Isn’t it lovely? Sucrette’s square PDF pattern ( a graphic pattern with step by step pictures) will be available very soon in my etsy shop 🙂 Yes, yes, yes, I’m gonna open an etsy shop and I’m totally excited about it! Love you all…and wish you a super day! 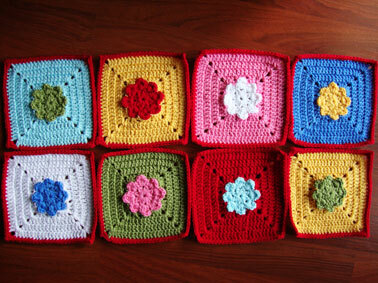 When I first saw Lucy’s blooming flower cushion I thought to myself I have to make one of my own, I HAVE TO! 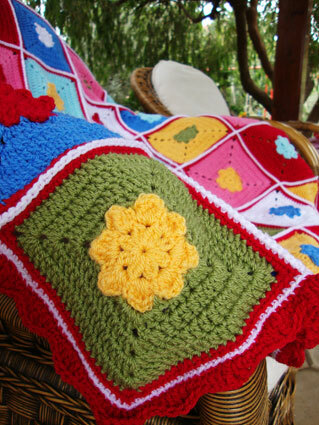 This flower cushion is incredibly beautiful, wonderful, amazing …. I fell crazy in love and was a little bit afraid of the tutorial thinking that it was maybe too hard and complicated… and then, I tried it one night…and it worked…and when you’ve done the first four rounds it becomes very simple… ooooh a lovely tutorial with a lovely result… Thank you so much Lucy! 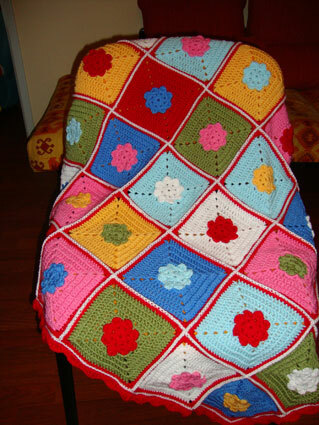 It is much thinner than the Nako yarn I normally work with to make most of my blankets and projects! 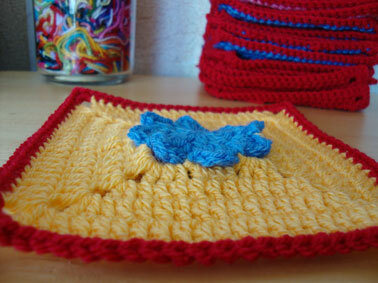 and it is crocheted with a 3mm hook ! 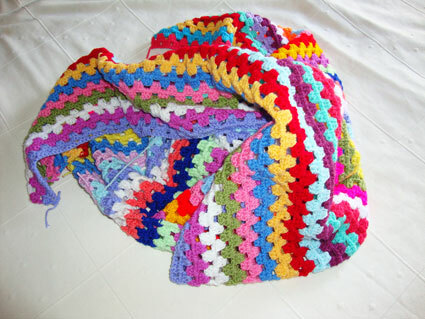 So, after I put all my left over mirage yarn in my plastic basket I began following stitch after stitch Lucy’s lovely tutorial that you can find here! 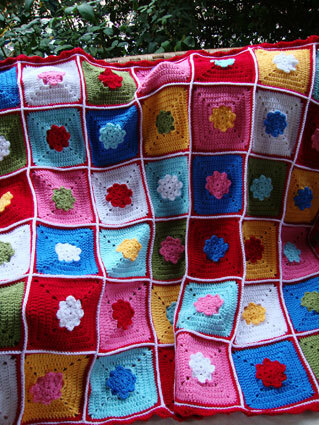 I can tell you something about this tuto…it is very addictive…and the more you work on…the more beautiful it becomes….the more you want to crochet…. 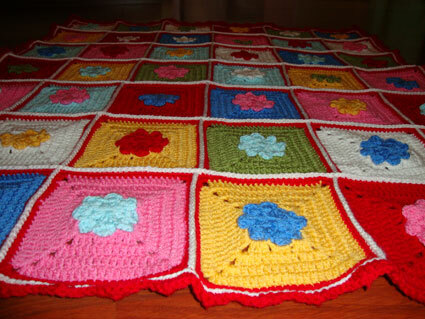 Anyhow, Thank you again Lucy for this marvelous project! and thank you all for visiting today! I’ve joined together the squares with a white line of dc. 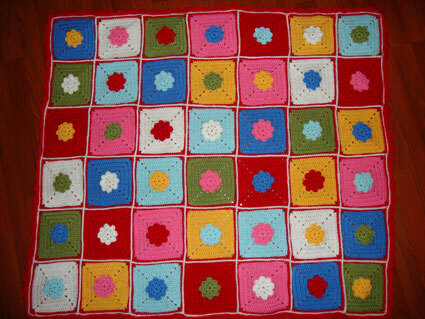 and I made another white line of dc before making the final border in red. You can find the pattern of the square here. …hope you like it ! mmmm, what do you think? This is my creative space for this week! I’ll post it 100% done soon ! 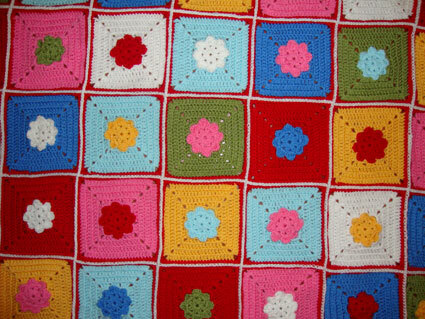 I am actually working on a new plain blanket with only seven colors and this is giving me great pleasure to crochet. 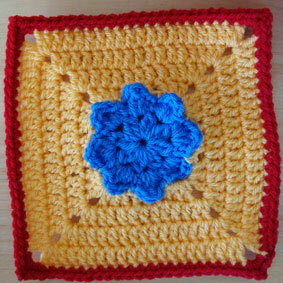 I like to have a plain blanket for home and I decided to have one with a 3D Flower square. 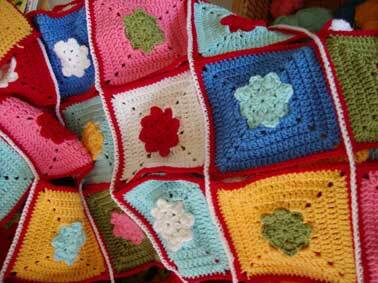 I’ll show you today the wip blanket. 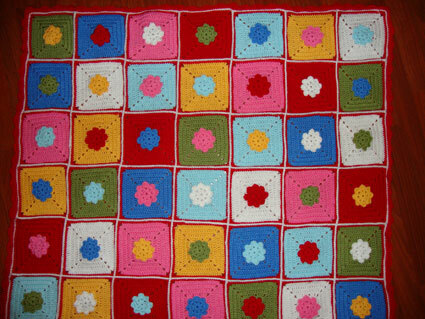 I actually made 38 squares untill now, still have32 (the blanket is made with 70 squares in total (7×10)! As you noticed the flower is a 3D one:) it is very beautiful “live”. 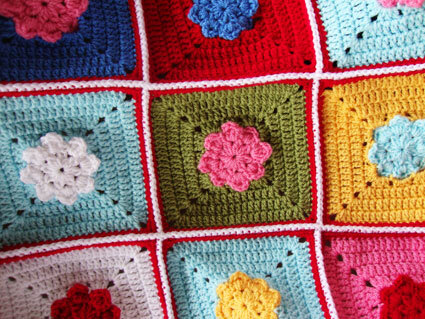 and see you tomorrow for the pattern of the 3D Flower blanket! BIG BIG kisses to you all!